Blackjack is a table game, typically found at casinos, where the goal is to get 21 Blackjack without going over 21. Casino games include Table games like blackjack, electronic games like slots, and other games like Bingo. Generally Casino games allow players to gamble and bet against the house. Below you’ll find a list of popular Casino games, and Facts about those games. Here are our top 10 blackjack tips. 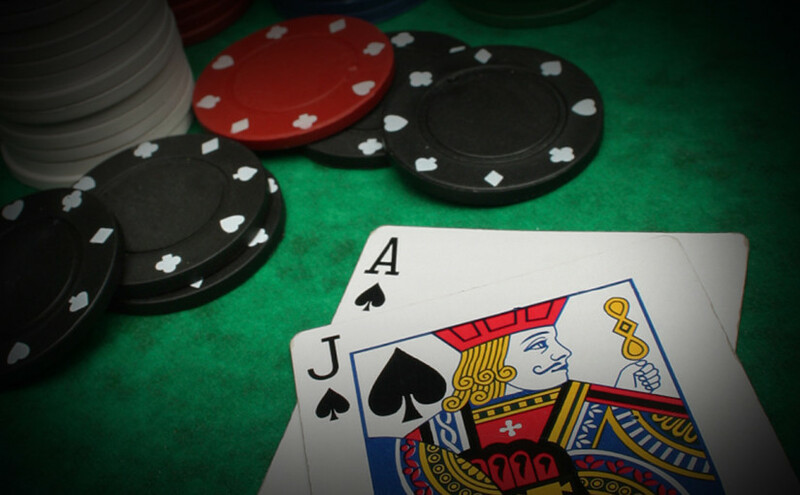 These expert blackjack tips will ensure you get the best odds when playing blackjack. Following the above rules you will increase your odds of winning substantially. If haven’t learned at least basic card counting strategy and/or basic blackjack strategy, you should keep in mind the Casino will still have the edge and statistically you will lose money over time. Simply following rules 3 – 10 to play better than the average BJ player and bring your edge pretty darn close to 50%. You’ll break some of the rules when using perfect strategy and have mastered the count, but for now simply following the above will bring down a potential house edge of around 4% – 1% or less. Mathematics, is the key to understanding how Casino games work. We breakdown the mathematics of gambling and statistical theory in a simple way. Below we define the terms we need to know to understand both basic statistics and gambling. However, there are really only so many things you need to know about math. The bulk of them are easy concepts, a few not so easy. In statistics odds are a way of expressing a probability of something happening. In gambling odds are often a way of saying for every X amount bet the player can win Y. Example. 4 – 1 (or 4 to 1) odds means the game pays $4 for every $1 bet. NOTE: The word odds is used still used gambling to express the probability of something happening, but typically if you see it while making a bet it is referencing payout. The percentage chance that an outcome will happen. There is a 50% chance the coin will be heads. The amount a game will return to the player. The amount the Casino will keep. Hold % is equal to 1-[(1-HouseEdge) raised to the S power]. Wherein S is the number of player Sessions w/in 24 hours. The amount the casino can expect to make off of a bet over a large theoretical number of plays given a games odds and the average skill level of players. The probability of a play being a win. By comparing a number of results we can make a bell-shaped graph that shows which results are most likely to occur, which are less likely to occur, and how far apart results are from each other. How far a set of numbers are spread out from each other. Variance can be found by looking at normal distribution, seeing how far apart those numbers are from each other, and then can be used to determine standard deviation. A number that represents the average difference of a set of numbers. Gives us a meaningful number to work with to understand how volatile a game is. The square root of Variance (the mean of the mean). Standard deviation represents a normal distribution of many results in one number. The likely-hood of a result happening. The standard deviation or variance between returns of a game. The more volatile a game, the higher the risk. The easiest way to talk about gambling in terms of statistics (or gambling in general for that matter) is to talk about a “fair coin” (a perfectly constructed coin that doesn’t favor heads or tails). This is because coin only has 2 combinations (heads or tails). Let’s apply the above terms to the example below. A fair coin has 1 in 2 odds (equal odds it will land on heads or tails), a probability of .5 (a 50% probability of an outcome, usually in reference to winning), and a return of 0 (theoretical return will be 0. It has a 0% house edge). Since it has a 0% house edge, it would typically have 0% return and hold. If you charted the normal distribution of many coin flips the most common results would be heads then tails, tails then heads, heads than heads, and tails then tails. Each different outcome like heads, heads, heads having exactly a 50% chance of happening each time. We could find the variance by charting these results over and over again and calculate the standard deviation to be about .5. NOTE: You can replace 100 with any amount of tosses and the expected standard deviation will be the same. This translates back into the coin having a 50% chance of landing on either heads or tails. Thus a fair coin is a low risk, low volatility bet, and it would have a high win frequency. FACT: In general if you win a coin flip, you should not press your luck and bet on the coin again (unless it’s an unfair coin, in which case you should figure out which side it is favoring and bet on it as fast and as often as you can). How Does Mathematics Apply to Gambling and Casino Games? Casino games are literally all math based. 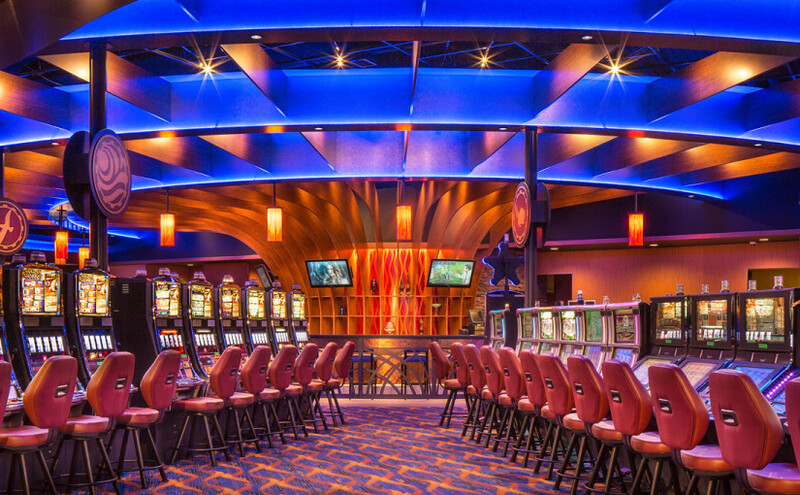 From basic card games and dice, to complex slot machines, it’s all pre-programed to give the Casino an edge on the player. Therefore overtime the Casino will always win. This is true for every card game. The only time gambling doesn’t have a literal house edge is in a game like poker where you play versus other players. However, consider four equal poker players, each will have a 25% chance of winning (that would essentially make the house edge of 25%, which is awful). Of course house edge is just what will happen in the long term, what we need to do is understand standard deviations, win-ratios, risk, volatility and more to really understand our chances at winning and to devise and understand good strategies for gambling. Statistical theory or the theory of statistics is a range of techniques that can help us to understand how statistical outcomes can play together and be used to predict and measure other statistical outcomes. The “House Edge” is a theoretical percentage of every dollar spent that the house will retain. In the short term house edge might not manifest, but given enough plays it will due to the “rule of large numbers”. Win-ratio (win percentage or hit frequency) is the number of times a game will pay out (as opposed to have the house win or player lose). Return is the total amount of money paid out over time. There is a difference between actual win percentage and theoretical win percentage. Probability is the chance of a certain outcome happening a certain result each time a game is played. (# of times an outcome occurs) to (# of times experiment is conducted). Volatility is the standard deviation or variance between returns of a game. If a game has a high volatility that means that the results of winning and losing are harder to predict and could result in a quick loss or quick win (like slots). Risk is the chances of getting that win given a games volatility. Get the house edge (house advantage) of common casino games like Roulette, craps, blackjack, and slots. The two tables from the University of Las Vegas Center for Gaming Research below show the house advantages for many of the popular casino games. The first table is a summary of the popular games and the second gives a more detailed breakdown. Note: This summary is the intellectual property of Robert Hannum and the University of Nevada, Las Vegas. Gamblers Fallacy (Monte Carlo Fallacy) is the false belief that past events have an impact on the probability of future outcomes of a truly random event. The easiest way to explain this is with an example. If we flip a “fair coin” (a truly balanced coin with 50/50 chance of being heads or tails) ten times and it lands on heads 9 times, someone who believes the gambler’s fallacy will wrongly assume that the next flip is “due” to be tails (tails is overdue as an outcome). In reality this is wrong. The rules of probability say that every “fair coin” flip has exactly a 50/50 chance of landing on heads or tails no matter what. Period, end of story. This applies very easily to roulette, it doesn’t matter what color came last on a fair roulette table. The probability of hitting red or black doesn’t change depending on passed outcomes either. MYTH: Despite what some people think, Roulette doesn’t have 50/50 odds, there is 1 green zero in European Roulette and 2 green zeros in American Roulette. Unsurprisingly inverse Gamblers Fallacy (or reverse Gamblers Fallacy) is the mistaken belief that the coin flipped 9 times on heads will land on heads. This is also not true for the same reasons as above, it is however a better bet. This is because in reality nothing is perfectly designed. If a coin landed on heads 9 times in a row, one might assume the coin favored heads in design (it wasn’t a fair coin, thus one should bet heads to materialize an edge inherent in this unfair coin). FACT: Future odds are not based on past odds. The probability of something happening more than once, before any event takes place, is not the same as the probability of each event happening. The chances of a coin landing on heads ten times is 1/2^10 or 1 in 1032, if a coin has already landed on heads 9 times the chances of it land on heads again is 1/2^1 or 1 in 2. Without getting too deep into things, we are hardwired to recognize patterns. Your brain wants to tell you that outcomes can be predicted based on past events (fire burns hand, brain says don’t touch fire). However, for the purposes of gambling one should not trust their instincts and always trust a solid strategy based on mathematics if their intention is to actually win. Get the facts on Gambling. Our gambling facts list is an easy to read cheatsheet for hacks, facts, and myths on slots, cards, casinos, betting, and more. Casino games all have a built in “house edge” (a theoretical return in the houses favor). This means, as a general rule of thumb, over time you will lose. The only other way to actually beat the “house edge” is via perfect card counting and perfect strategy in blackjack. Even given this one would have to play for a very long time to make significant profit based on statistics rather than luck. The house edge occurs manifests over time (rule of large numbers). The more instances a bet is made, the closer the edge gets to manifesting. If a game has a 4% house edge, it will return 96% of the money players put in over an infinite number of plays. Returns are always theoretical. Even over time a theoretical return is subject to standard deviation (ranges of actual win/loss ratios). Win frequency (or hit frequency) is more important than house edge in the short term. This is how often a given game will pay out. Thus we want to look at volatility and risk, especially in the short term. We can use statistical theory to figure out how often a game will hit, what it will pay in the short term, the likeliness it will pay that in the short term, the ranges it will pay, and what it is likely to pay over time. A game could have 100% return, but only hit once every million plays. This means that while the edge was good, the chances of winning (volatility and risk) were actually very poor in the short run. Gambler’s Fallacy (Monte Carlo Fallacy or fallacy of the maturity of chances) is the false belief that past results affect future results in random processes. For instance if a coin lands on heads 9 times, someone who believed in the gamblers fallacy would think that it was “due” to land on tails. In reality all truly random results have the same chance of happening every time they occur. A “fair coin” always has 50/50 odds, period. Reverse Gambler’s Fallacy (Inverse Gambler’s Fallacy) is the opposite of Gambler’s Fallacy (they think the above coin was more likely to land on tails), this is also wrong. Blackjack has the best house edge of any casino game when paired with basic strategy and card counting (-1% house edge). Without perfect strategy the player as a slight disadvantage (2-4% house edge). Keno has about the worst odds of any casino game (27% house edge). Generally slot games are a bad bet (2-30% house edge depending upon machine). This is because unlike table games there is no way to know what the hit frequency and return of a game are. (some high roller games in specific Casinos may offer a range of return at best). Most gambling strategies are complete BS. In general all the real strategies are free. If a strategy can’t be backed up with mathematics, and is being sold as an ebook, it’s probably BS. 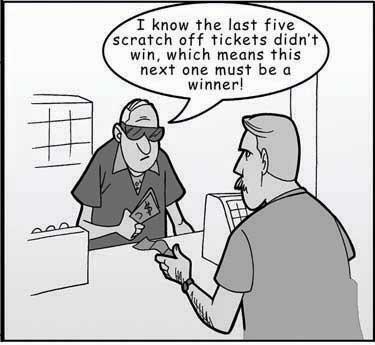 Any betting strategy based on trying to predict random outcomes, or based on luck, is generally wrong. Check out our gambling myths page to learn more. Facts on Gambling WebSite created by a (dog) named (tom).